Will the Manufacturing CIO be stuck in the middle of Organizational Transformation? You are here: Home / Collaboration And Convergence / Will the manufacturing CIO be stuck in the middle of organizational transformation? The manufacturing CIO is in a quandary. No doubt about it. The role of CIO is evolving in accordance with the ubiquitous nature of the Internet of Things (IoT). The need for analytics speed and organizational data-consumption catalyze digital transformation of the enterprise. In addition, as real-time insights become more accessible throughout the enterprise, the question becomes: how are these insights leveraged to meld product and service innovations? In business-to-consumer (B2C) business models, the CIO just may have a leg up on their manufacturing CIO counterparts. In part, B2C models complement the pace and cadence of big data acquisition and utilization. That’s because B2C customer lifecycles tend to be shorter and, hence, more vulnerable to customer churn. Therefore, building B2C customer loyalty and retention models leverage a continuum of better-and-better product and service offerings. B2C environments are tailor-made for the 5V’s of Big Data: volume, velocity, variety, veracity and value. As I wrote in my last post, CIO as Strategic B2C Revenue Generator versus Cost Center, CIOs who are part of C-suite strategy tend to be strategic innovators rather traditional, legacy order-takers. These CIOs, far and few between, carve out an intrapreneurial role for themselves by sticking close to their customers, both internal and external. The manufacturing CIO is participating in a tug-of-war going on across departmental cultures and organizational models. Industrial IoT environments focus on engineered- and built-to-order products and services which transition with client needs. Creating these deliverables become the norm, rather than the exception. There are lengthy product development lifecycles involved. In response, lines of business, operations and the manufacturing CIO have opportunities to assume not only intrapreneurial roles. Also, they can glean greater insights into customer requirements by becoming part of the customer acquisition and retention process. However, that scenario represents yet another cultural tug-of-war with the sales organization. Ultimately, in providing better-and-better products and services, everyone’s job functionality focuses on revenue and value creation. However, this environment is where the 5 V’s of Big Data (volume, velocity, variety, veracity and value) crash into the plate tectonics of operational stability, security and prediction of failure. These days, manufacturers aren’t quite certain just what it is that they manufacture or sell within the industrial IoT, Industry4.0 ecosystem. Do they deliver consumable or durable solutions for clients? The report, IDC FutureScape: Worldwide Digital Transformation 2017 Predictions, posits that by end-of-2017, revenue growth from software- and information-based products will be double that of the product-service portfolio for one-third of all Fortune 500 companies. Also, in 2018, IDC predicts that organizations who invest in sensor and cognitive systems to monitor performance environments will see 30% cycle time improvement. As I discussed in my recent BrightTALK webinar on Customer Retention, stabilization of manufacturing environments, reduction of equipment downtime and production optimization are becoming table stakes in the industrial IoT. These vendor requirements evolve into minimum viable expectations as clients redefine – at the very least – the transactional requirements for vendor selection. Consequently, the manufacturing CIO finds herself at a crossroad. Can she identify and leverage opportunities for cross-functional collaboration with operational units as well as line of business units? Otherwise, the manufacturing CIO becomes a background player rather than an Industry4.0 leader. 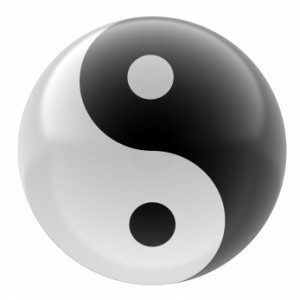 Enlightened capital equipment manufacturers understand that the question is yin-yang. So do their software vendors, with whom they’ve established a collaborative partnership. They now sell both hardware as well as software. Their products and services are indelibly aligned and integrated, not only with each iteration of software, but also with each iteration of end user and workforce. Ultimately, customers anticipate better-and-better customer experiences throughout the duration of their equipment-software-people- and portfolio experience. GE’s digital transformation journey exemplifies how manufacturing enterprises wrestle with the dichotomy of meshing long capital equipment lifecycles with continuous flux of software upgrades. Like many capital equipment manufacturers with whom I speak, GE machinery is built according to Six Sigma, of which I am a Six Sigma Green Belt. Six Sigma is an extremely disciplined product development methodology. Not only is the durable equipment built to not fail, but also it is created to be failure-free throughout capital equipment lifecycles which span decades. However, consider that GE equipment continuously interfaces with sensors and software. These consumable, self-learning, software environments are dynamic; they span seconds or minutes or months rather than decades. This interactive scenario is the hallmark of industrial IoT environments. As a result, the central issue of manufacturing CIO-driven IT OT convergence and digital transformation involves cultural complement. Information and software cultures have specific triggers and sets of urgencies which differ from those experienced in operations or business cultures. As a result, these various cultural mindsets and perceptions create a different set of priorities. Consequently, the manufacturing CIO easily gets stuck in the middle of IT OT convergence issues and organizational transformation. How can everyone live together happily ever after? The IDC FutureScape report predicts that by 2021, one third of CEOs and COOs of Fortune 2000 companies will have served in a technology leadership role during their careers. While these Industry4.0 and IIoT predictions are good news for creating hybridized manufacturing models, where does this scenario leave the manufacturing CIO? Clearly, they must select a transformational career trajectory or be marginalized from the conversation. Babette Ten Haken is a catalyst, corporate strategist and facilitator. She writes, speaks, consults and coaches about how cross-functional team collaboration revolutionizes the industrial Internet of Things (IIoT) value chain for customer loyalty, customer success and customer retention. Her One Millimeter Mindset™ programs draw from her background as a scientist, sales professional, enterprise-level facilitator, Six Sigma Green Belt and certified DFSS Voice of the Customer practitioner. Babette’s playbook of technical / non-technical collaboration hacks, Do YOU Mean Business? is available on Amazon. Visit the Free Resources section of her website for more tools.